I am a native english speaker with more than 15 years experience in the areas of training and development, teaching, counseling and coaching. 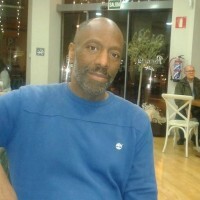 I am currently teaching english in Madrid. I have had classes with individual students as well as groups in businesses such as Telefonica, AENA, ADIF... I specialize in working with groups of adults at all levels of english. I am available for new adult students/groups of all levels in Madrid capital. I am available Monday, Thursday and Friday mornings. Recibe varias propuestas de profesionales como Kamau Ifoma en pocas horas.